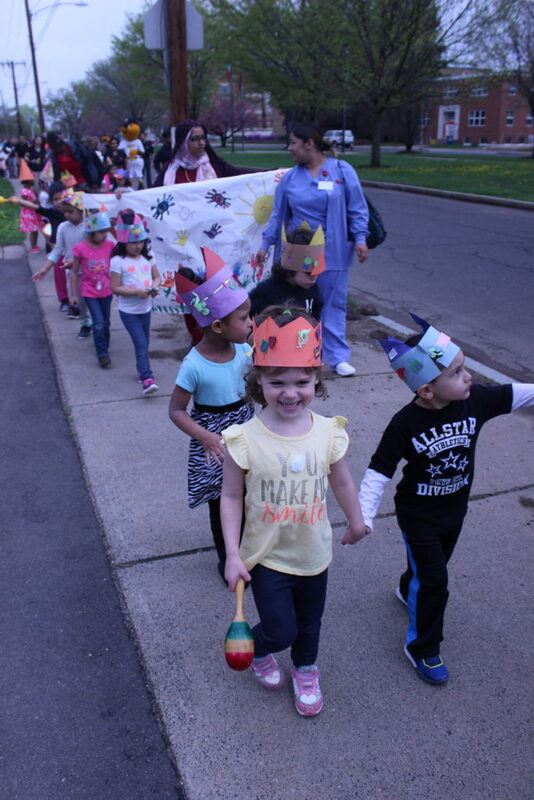 YWCA New Britain celebrated the Week of the Young Child April 24 to 28. The Week of the Young Child is an annual celebration sponsored by the National Association for the Education of Young Children (NAEYC) celebrating early learning, young children, their teachers, and families. This year, teachers centered their activity planning on STEM (Science, Technology, Engineering, and Math) projects to engage their students. The week began with a focus on "Spectacular Science." Children investigated different types of materials such as cardboard, bubble wrap, foam, and paper. 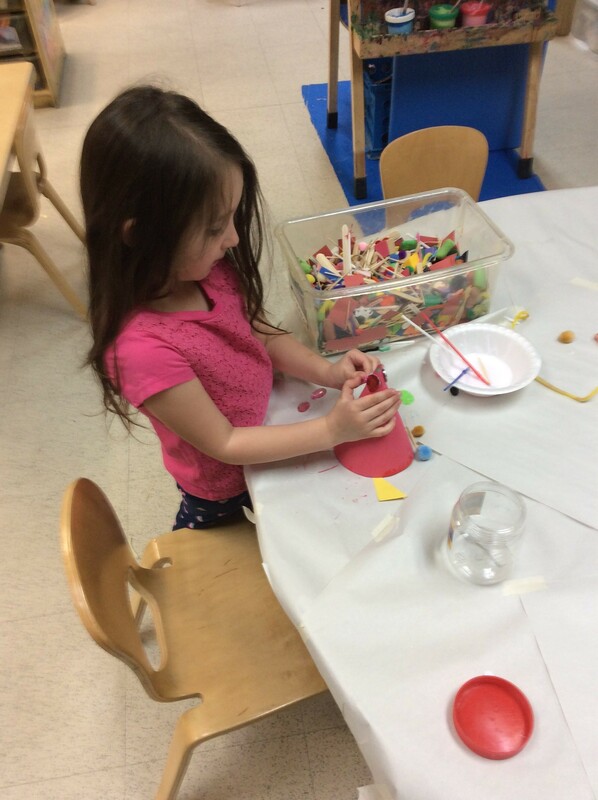 The Dinosaur classroom explored new materials by creating paper hats and decorating them with paint and foam shapes. 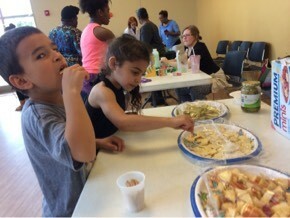 Tuesday's themes were technology and the "I am Moving, I am Learning" program. The students used their classroom iPads to make videos for a future project. Also, in the small gym, several activities were set up for students to get in their exercise including a small obstacle course, jump ropes, a tumbling mat, and even a place to ride tricycles. Wednesday was all about environmental engineering and each classroom created a 3-D environmentally friendly art project. 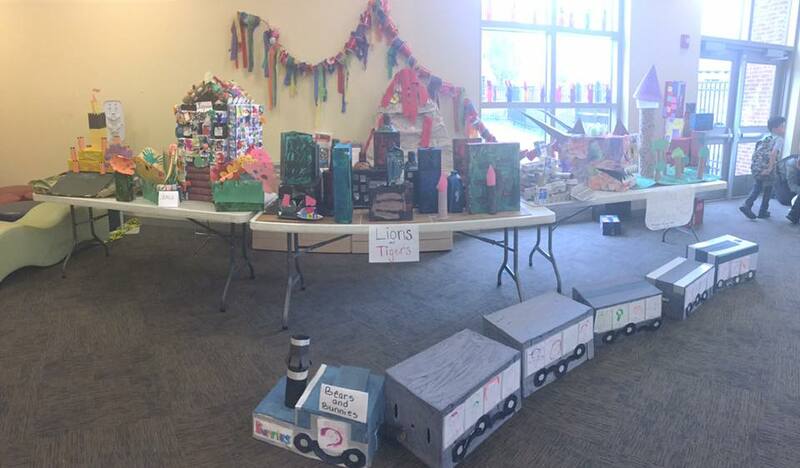 These structures are now on display in our lobby and include a castle, paper lanterns, and a dragon! Students also enjoyed a puppet show presented by students from Central Connecticut State University. The puppet show focused on the importance of being a good friend and how to use proper manners. Students channeled their inner artists on Thursday. Several different options were given in order to create a painting such as watercolor, oil paint, tie dye and marbled milk paper. The week ended with the annual Hat Parade. Each classroom made their own hats to wear in advance of the parade. 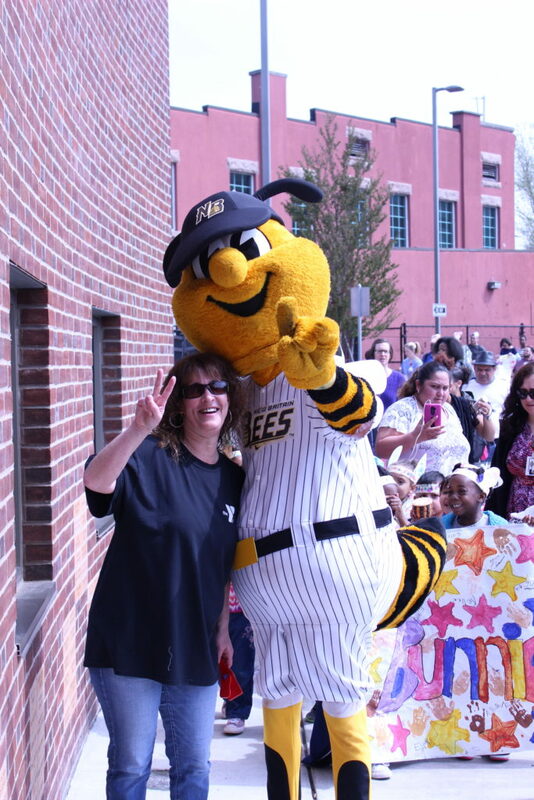 Students marched around the block and showcased their hats and YWCA pride with the New Britain Bees' mascot Sting. 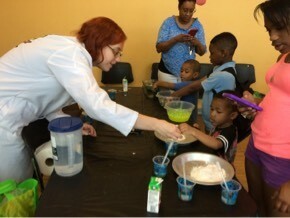 We also held a Mad Science Family Night on Friday with activities such as mixing up goop, tasty sensations, a balloon water fountain, polymer fun, and amazing air stations.